Get modification help from an attorney experienced in real estate. Losing your job and experiencing economic hardship can reduce your disposable income to the point where you're unable to make your home loan payment. Falling behind on your mortgage payment can affect your credit score. If you're unable to resume payments, your lender may foreclose after 90 days, but a mortgage modification can sometimes avert a foreclosure. You can negotiate a loan modification yourself or seek help from a professional. A mortgage modification amends the original terms of your home loan agreement to create a payment you can afford. These changes are permanent and remain in effect for the duration of the mortgage. After a careful examination of your income, mortgage payment and other debts, your lender may lower the interest rate on your mortgage. This reduced rate can significantly lower your home loan payment, which can translate into a manageable home loan payment. Mortgage modifications differ from refinancing. A refinance requires the completion of a new mortgage loan application. This process involves a credit score of at least 680, and you're responsible for mortgage-related fees, such as closing costs. Modifications are designed to help distressed property owners. Your credit isn't a factor in the decision process, and you aren't required to pay fees to your lender. 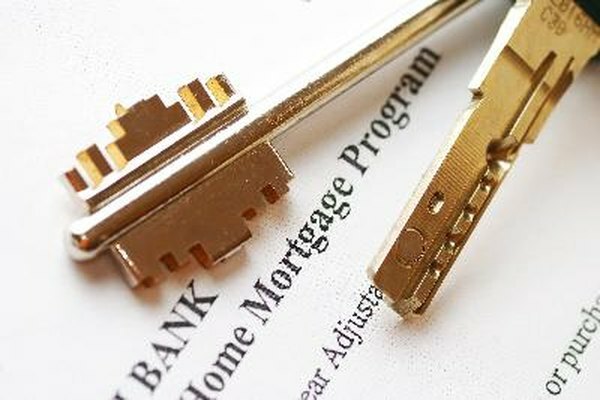 There's no requirement that you must have an attorney to obtain a mortgage modification. Banks and financial institutions that issue mortgage loans have a hardship department. If you experience economic hardship and can no longer afford your current mortgage payment, call your lender's hardship department and request a modification. A telephone request starts the modification process, but you will need to visit your lender in person to discuss your situation and negotiate new mortgage terms. Getting approved for a mortgage modification can take up to 90 days, according to Realty Times. If you don't have the time or energy to devote to the process, it is best to hire an attorney. After you sign a form authorizing an attorney to represent you, your attorney contacts the mortgage lender on your behalf and handles all negotiations. Modifications can move slowly when a lawyer isn't involved. Having a lawyer by your side can move your lender to action. While a lawyer can help you modify your mortgage loan, this type of help isn't cheap. If you tackle the mortgage company on your own and negotiate the modification without representation, you won't spend any out-of-pocket money. If you hire an attorney, he will likely charge an hourly rate or a flat fee for his services. This can amount to thousands of dollars, which creates an extra financial burden when you're already strapped for cash. If you decide to hire a lawyer to get your mortgage modified, do not pick a random lawyer. You need a professional with mortgage modification experience, preferably a real estate attorney. Schedule a free consultation with two or three lawyers. Ask pointed and direct questions to assess their experience: Are you familiar with mortgage modifications? Have you successfully helped other property owners obtain a modification? What is your strategy? How can you help me? What is your fee? Bankrate: Can an Attorney Help Loan Modification?